A tribute to Fess Parker. He says, "Buy Real Estate." Own your home, your business and the location from which you operate your business. Q: Why do so many business owners own their own buildings? A: To be in control of overhead, to build up assets and to define their company's image. We have all seen or heard about the evil landlord, right? You lease a space, you build your business in the location, the landlord sees you making money, the landlord doubles your rent. Tracy Myers of The Advertising Arts College told us, "In 1987 we were tired of leasing. We wanted to buy our own building. It was great. We were no longer having to deal with landlords and rents, and it was a very, very good move on our part. " Tracy ended up selling her company for double digit millions and the new owners had to lease space from her! After 15 years of paying rent to landlords, Joan Keller of Le Travel store, figured they should buy their own building. They bought an old two-story building in an historic business district because they believed the neighborhood would be revived with help from city planners, the city council and other merchants. We learned that Carol and Dean Schroeder bought the building that houses their retail store when they first opened. Marc Katz tells of buying the building first, then opening his deli. If you plan to stay in one place for a number of years, it's better to own than rent. Steve Hoffman, founder of Modern Postcard was told by his CPA to that it was time for him to build his own building. The CPA had watched Steve lease space for years and spend plenty of money to upgrade it to his standards. The employees running machinery are in a space with a solid wall, however, they can raise large doors to fill much of their areas with sun. The materials that are timeless and aesthetically pleasing. At the entrance, the hardwood floor is warm in contrast to the concrete and stainless steel railing. The grand staircase invites everyone who walks through the door and having two stories means most people never get into an elevator. The palette is neutral. We find only gray and black with clear glass lantern-like light fixtures. There is nothing hanging on any wall because each wall is a sculpture itself. It took plenty of brain-power and love for Steve to achieve the result everyone enjoys today. You may know about the time when Dr. Jonas Salk was struggling with his idea to find a cure for polio. He went on a retreat to Italy and stayed at the Abbey of Assisi. In a speech he made to the American Institute of Architects in the early 1990s, Dr. Salk said he came up with his vaccine at the Abbey and was convinced that the architecture had something to do with his mind being unlocked in some new way by the inspiration of the Abbey's architecture. Can you or should you develop your own work environment? Take an inventory of your work place. How does it make you feel? Are you proud of it? Do you feel more energy or less energy when you walk in the door? Ask the people who work with you to tell you how they think the workspace affects them emotionally. What action can you take to create a place worthy of 1/3 of a person's life? HATTIE: (In the Studio) Hi. I'm Hattie Bryant. We believe there should be at least a half hour per week on television dedicated to tell the stories about people who create wealth and work and make the world a better place. HATTIE: Today, we visit with a legend who encourages us to create our own legend. Meet an old friend, Fess Parker. You may remember him as Davy Crockett and Daniel Boone. Last year, over 60,000 people visited the Fess Parker Winery & Vineyard, located 32 miles north of Santa Barbara, on the Foxen Canyon wine trail. Guest #1: Do you like that one? 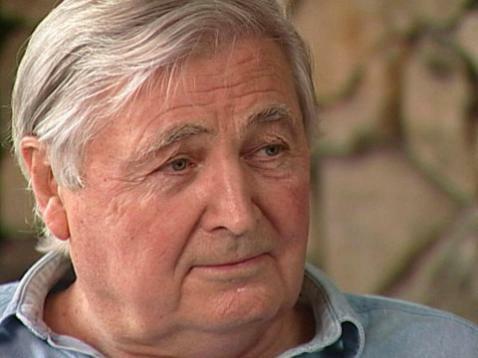 HATTIE: In 1987, Fess Parker and his son, Eli, purchased 714 acres. Eli enrolled in viticultural classes, and this business was born. While Eli focused on the wine making, his dad concentrated on building the winery and visitors center. Total sales reached $5 million last year. So he really is 6'6". You can tell; I come up to his elbow. You probably remember Fess Parker when he looked like this when he was on television in the '50s, he was Davy Crockett, King of the Wild Frontier. And from 1964 to 1970 he played the role of Daniel Boone. FESS PARKER : Here we go. Here you are. HATTIE: Now Fess Parker tells us about new adventures. (Talking to Fess Parker) Well, thank you so much. The only problem is I'm going to want to drink it. FESS: That's OK, please, do. HATTIE: Thank you, thank you. FESS: (laughing) ... yeah, for my own personal consumption. HATTIE: When you left acting and when you decided, `OK, I don't want to do that anymore,' why did you go into real estate? How did you get it started? Roll back the clock and tell us about that. FESS: I think two factors. One, my father always--like most Texans, really put a high premium on real estate. The landed people were the successful people. The second factor was Walt Disney. I was under personal contract to him when he was preparing to open Disneyland. So I met many of the people involved in that massive project. And I understood then that they existed, and how they quietly existed, where they fit into the equation. And when I decided to leave the film business, the land seemed to be the natural place. And it also had an opportunity for a person to be creative, which I felt good about. HATTIE: So did you save up some money to be able to buy your first piece of land? How'd you get the first piece? FESS: The whole thing is that I came along at a time in California when almost anything that was reasonably put together was likely to be a success.